This site is a collection of over 100 articles about evolution as viewed from a non-physicalist (arts/humanities) position. The articles are meaningfully divided into categories but within each category they appear simply as independent articles in order as written. You can access them through Contents pages reached by clicking on the subject-areas in the black menubar at the top of each page. Book reviews of classic texts, starting with Zoonomia by Erasmus Darwin, including works by Richard Dawkins, Denis Noble and James A. Shapiro. Critiques of today's scientific theory ("Darwinism") by such notables as Gertrude Himmelfarb and John Maynard Smith. Consilience: Consideration of E. O. Wilson's call to rebuild the humanities around today's evolutionary theory. Resources to ready non-scientists for coming up with new theories of evolution. Humanities & Evolution--various ways today's scientific theory challenges the humanities. 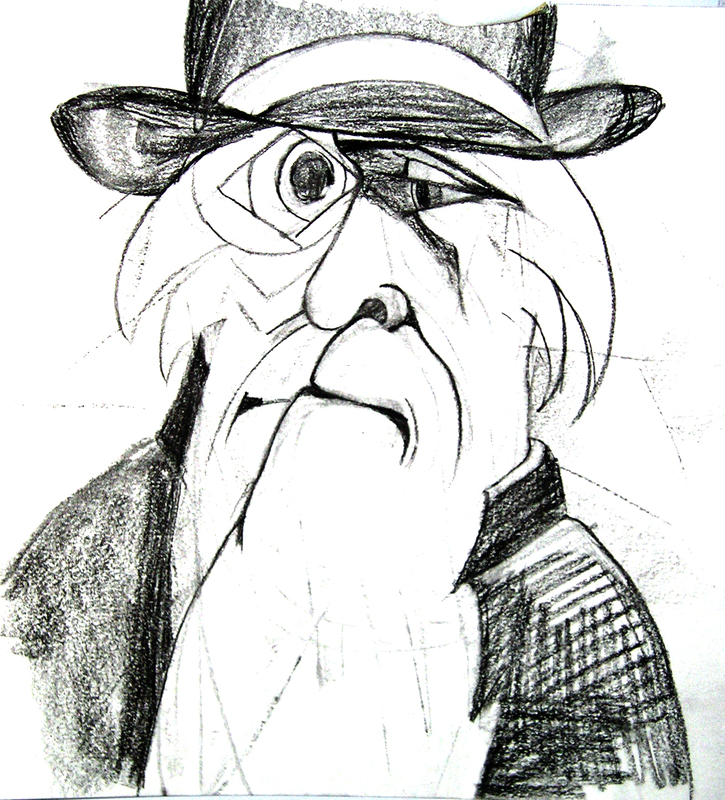 Of special note are our report on Denis Noble's challenge to neo-Darwinism, "Evolution beyond neo-Darwinism: a new conceptual framework," The Journal of Experimental Biology, (2015) 218, posted with his permission, and our republishing of "The Secret Power of the Single Cell," by Brian J. Ford, originally published in The New Scientist, 24 April 2010, included here by permission of the author. To encourage the devising of alternative origin stories that celebrate our non-physical capabilities of consciousness, creativity and free will, that are the special province of the humanities and, having done so, to offer them as a new consilience to the sciences. 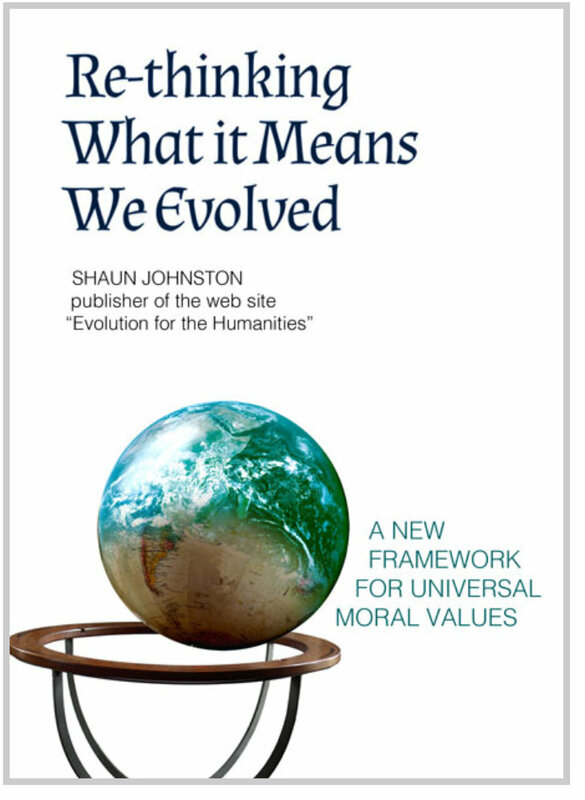 "Re-thinking What it Means We Evolved: A New Framework For Universal Moral Values." Philosophy light. "Self Improvement Through a New Approach to Evolution." Self help, illustrated. "Father, in a Far Distant Time I Find You." A further 4000 years of evolutionary theory. "Me and The Genies." Romantic comedy in 20 ideas. From blurb for earlier version of "Re-thinking...," by Mary Midgley, Gifford Lecture 1989-90 "Science as Salvation" and author of "Evolution as a Religion: Strange Hopes and Stranger Fears." 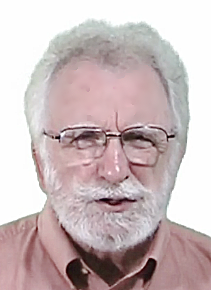 "Shaun Johnston raises many fascinating questions, asking how it is that many scientists seem to find it so embarrassingly difficult to think about any sort of consciousness, especially their own, that they'd rather say it isn't there.... But they badly need to be pressed to roll up their sleeves and face it directly. So, all good wishes to Johnston as he pesters them to get over their scruples." From a Kirkus review for "Re-thinking---"